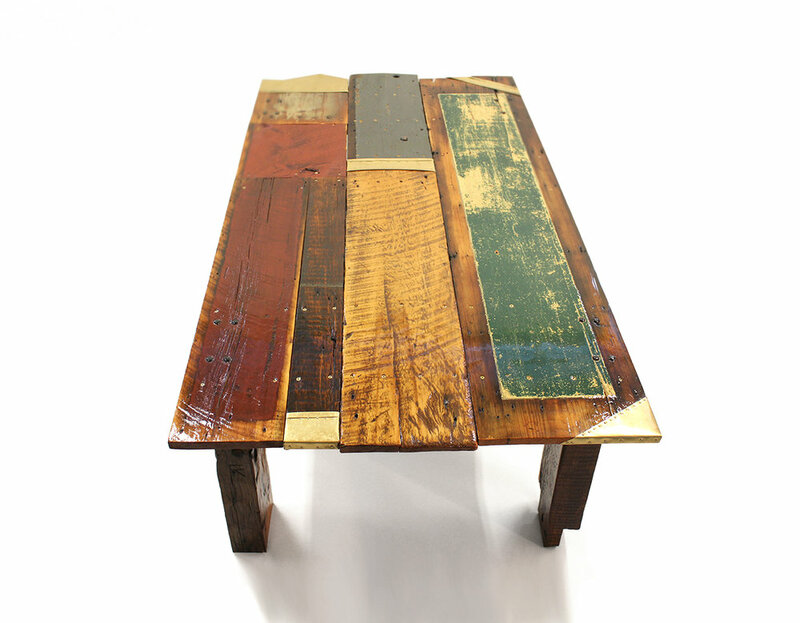 The Heritage Table was created from 100% reclaimed wood from Maine, Massachusetts and New York. Most of the wood is early 1800's or older with some from commercial building and some residential. The table is asymmetrical and would make a great kitchen table or office desk. Several legs are hand hewn barn beams with original chisel marks and posts still in the beam. All hardware is brass or square head steel lags. Brass accent wraps have been created to give the table a contemporary style as well. This table has lots of history and stories to tell, old and new. Dimensions 30"h x 81"w x 42"d.